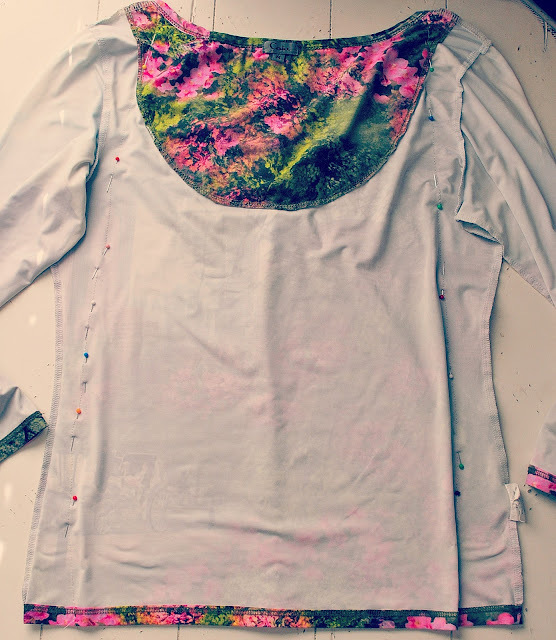 Trash To Couture: DIY. Shirt Sewn Skirt. 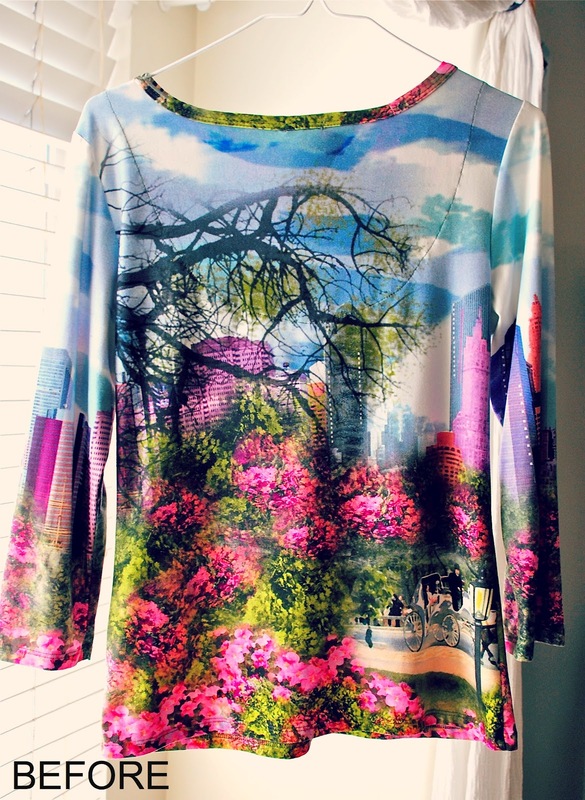 I got this interesting shirt with a portrait of central park from the thrift store. I liked it as a shirt and will wear it as both, but here is an easy DIY to sew stretch shirts into a skirt/tube dress. If you like it as a shirt too, you can also just tie the arms around your waist and it becomes a convertible shirt/skirt. Because it was stretchy, all I did was sew it into a tube...similar to this pencil skirt refashion (here) but without the zipper and waist band. Turn inside out and pin it to fit. Sew. Trim excess fabric and sleeves. 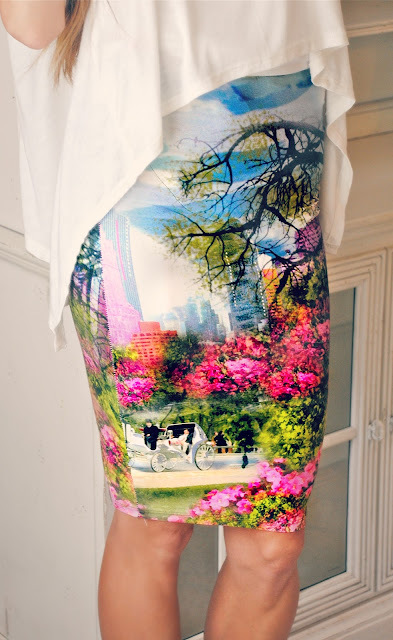 What a beautiful print for that skirt! I have a quick question. How do you know if a shirt would work with this? Would you want a shirt that fits you on top or one that is oversized? Thanks! 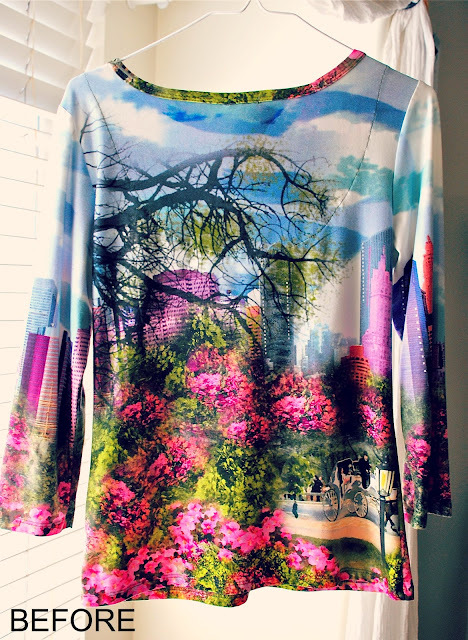 This is soooo gorgeous! It looks super expensive, the fabric you chose was simply perfect! You are amazingly talented! Was just checking out some of your projects and they are fabulous!! This skirt is awesome. You have so many inspiring ideas! Do you use a walking foot or a ballpoint needle in order to sew this type if fabric? Or do you use the stabilizers?